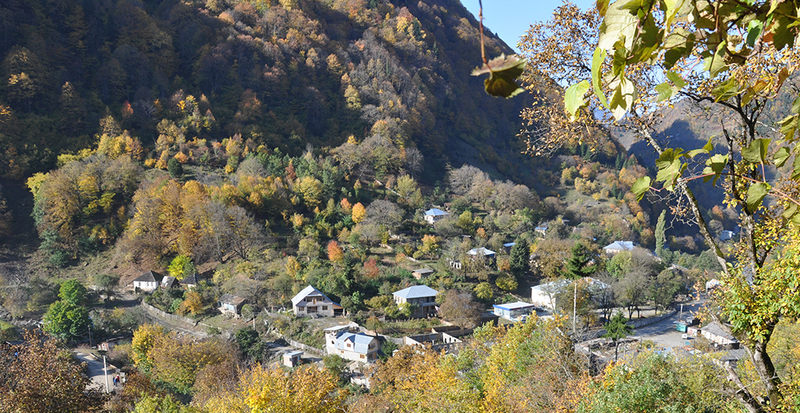 For the past nine years, the residents of Khaishi, a community of Svans, an ethnic group in north west Georgia with its own language, laws and traditions, have lived in uncertainty over their livelihoods, homes and lands that stand to be flooded by the planned 702 MW Khudoni dam. Their future looks grimmer than ever with the Georgian administration apparently agreeing to land expropriations for the project. In a revised contract (pdf) with the developer, the British Virgin Islands-registered Trans Electrica Limited, the Georgian government apparently concurs that the company has exhausted the means for registering ownership of the private lands in Khaishi and hence these lands can be expropriated. After Trans Electrica has taken years to apply for a construction permit, the Georgian administration, in an attempt to accelerate the permitting process, approved amendments to the agreement in September 2015. The amendments were not publicly consulted with the affected communities. Only an English version of the document was released a month after the new contract was signed, preventing the Georgian natives from understanding its content. Part of the area to be flooded for the Khudoni dam. 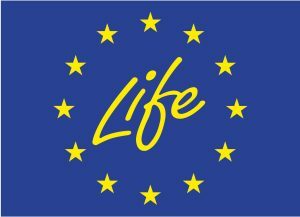 Find out more about the project on our website. Already after the original agreement was signed in 2007, 1500 ha of land customarily owned by the Svans, yet not officially registered, were sold to the developer for a symbolic price of one USD. For generations, the Svans used the land for subsistence agriculture and grazing. In addition to land rights issues, the amended agreement has further deepened concerns that the project will result in a tariff hike for domestic electricity consumers. With the contract, the Georgian government commits to guarantee the purchase of the electricity generated by Khudoni at the rate of 10.5 US cents per kilowatt hour – a rate 26 times higher than at the state-operated Enguri dam. Considering the capacity of Khudoni this would be a heavy hit for household budgets in Georgia. (David Mirtskhulava, Technical Director of Trans Electrica predicted that Khudoni will increase Georgia’s power generation by 15%.) Inhabitants of rural areas, like the Svans, would suffer disproportionately as their incomes will likely not keep up with the incomes in cities. While the company claims it has made its best effort to resolve land ownership issues, the Khaishians argue they have not been consulted on land rights, property registration or resettlement that threatens to displace 2000 people. On March 9, in response to the company’s faulty rhetoric and the neglect of their rights, the community of Khaishi collectively issued a declaration (pdf) calling for the cancellation of the contract, the recognition of customary land rights and the inclusion of Svans into the decision-making over the project. 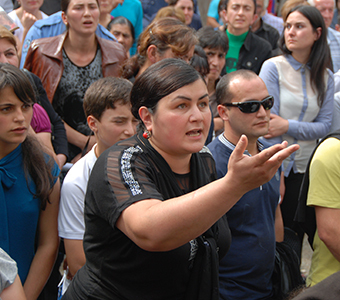 The historic failure of the company to establish a dialogue with Svans has been the subject of numerous complaints  and triggered an intervention by the Georgian Ombudsman. “If we resettle and even if we get cash compensation, we will move to the city, and what will be of us once the money runs out and we have no farmland? And how will Svanetia profit of the damming?” asks Zura Nizharadze, a Khaishi teacher. The local residents have negotiated with the government, held demonstrations and the community elders have taken an oath on an icon to manifest their united stance concerning the plant. The project has dragged on since then. The developer has failed to comply with requirements for the environmental assessment, raising funds and meeting contract conditions, including the provisions for resettlement. The terms of the agreement have changed repeatedly – usually outside of public scrutiny and likely without the company having been charged for delays. Khaishi residents read these as signs that the central administration is using the means to give a construction permit to the Khudoni developer prior to parliamentary elections in October this year. The continued disregard for social impacts has forced the Khaishi community to reach to the ultimate recourse and declare it would block the dam construction should the project get that far. Khudoni is one of over 30 hydropower plants planned in Upper Svaneti, a region renowned for pristine mountain nature and UNESCO-protected medieval architecture. Five out of these plants are large dams exceeding 200 MW of capacity each. Yet, no analysis is available that would assess the joint impacts these projects will have on the welfare of the local Svan population and on the economic development of a region the size of Mallorca. The 280 MW Nenskra hydropower plant, the most advanced of the Svaneti hydro projects with preparatory works ongoing, will be built in the vicinity of two Svan communities. The developer has not explained how the company will tackle the impacts on their livehoods.